Books are the best source of knowledge and to continue our best Hadoop books journey, we have come up with the 5 best Apache hive books for big data professionals.If you are also looking for a career as Hive developer or Hive professionals, these Apache Hive books will help you a lot. Most of these Apache Hive books are available for free as well while others you can buy from Amazon. All these Apache Hive books for beginners are in detail and have been written considering the beginners in mind. 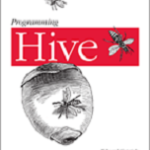 After going through these Hive books, you will be able to program Hive for sure. 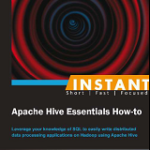 Let’s start with these Apache Hive books and see how these can work for you! 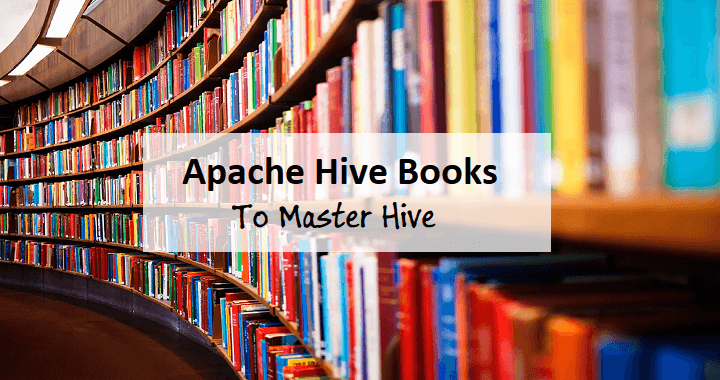 Here are the 5 best Apache Hive books to master the Hive programming language HiveQL. It is not necessary to go through all the books and you can start with any of the shared Hive book here and master Hive. Programming Hive is an excellent Apache Hive book to start with the Hive programming. This is an in depth book covering basic to advanced level of Hive programming, Data warehouse concepts, and HiveQL. Using this book, you will come to know how to move from relational databases to the Hadoop system Hive. How to query in Hive, process the data and analyze the data using Hive. Programming Hive is an example driven Apache Hive book which will help you install and configure Hive in your environment. It will also depict how Hive queries get converted into MapReduce jobs internally and the other operations. Programming Hive is a perfect book to get started with Apache Hive. 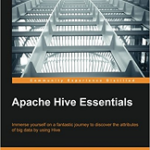 Apache Hive Essentials is another amazing book to get started with Big Data using Hive. This is another great Apache Hive book to start with Hive programming. If you are looking to start Apache Hive from scratch, this can be an ideal book to start with. The author of the book recommends having some basic knowledge about SQL to have a better understanding of Hive. Cookbooks for any language and technologies have been the leading choice for learners and the same applies here as well. Apache Hive Cookbook is a leading Apache Hive book for beginners to master Hadoop Hive. 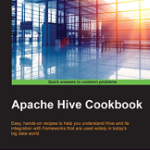 This Apache Hive Cookbook is best to configure Hive in any environment with different types of Hive metastore supported. You will also get to know how to configure Hive clients and services. The book also explains the different Hive optimization techniques along with Hive partitions and Hive Bucketing. The best thing I found with this book is the integration of Hive with other frameworks including Spark. The book mainly transforms your SQL knowledge to hive programming. The book completely follows the practical approach to code in Hive and helps you start with Apache Hive easily. The book will help you to write the first line of Hive code and explains how the code is getting converted to MapReduce programs internally. All the Hive concepts here are explained with examples and you will have a great experience learning it. Practical Hive helps you learn Apache Hive along with some data warehouse concepts in simple terms. Practical Hive is one of the best Apache Hive books you can find online which teaches Hive from scratch. The book will help you learning HiveQL, the SQL-like language specific to the hive, to analyze, export, and massage the data stored across your Hadoop environment. 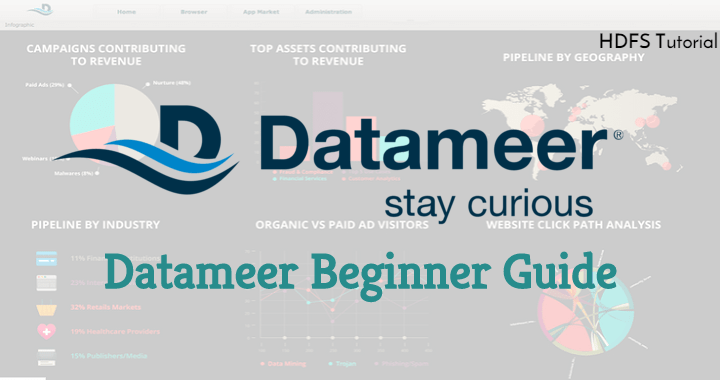 You will also learn how to leverage how to access and analyze semi-structured and unstructured data. These were the 5 best Apache Hive Books for Beginners and advanced learning. All these Hive books start from basics and take you through the advanced level of Hive. These also help you understand how the things flow at the backend in Hadoop system and how it works. So, if you are looking to start from scratch of Hive and learn the advanced Hive, you can start with any of these Hive books. If you know any other Hive Books, feel free to share here. This post depicts some of the best Apache Hive Books for beginners and advanced users. These books are cheap and starts from the basics of Apache Hive and covers the advanced topics as well. Most of these Apache Hive Books also covers the configuration and installation details and also shares the connection with other Big Data frameworks.